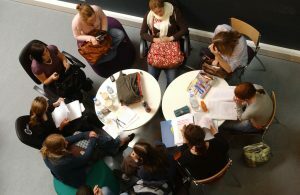 Group work can take many forms, from short discussions to term-long projects. In our Active Learning Canvas site, we have resources on many activities that could be group based, such as Case Study Approach, Creating a Shared Knowledge Base, Peer Instruction, and of course Team-Based Learning. Whether you are considering one of these ideas or perhaps trying one of your own, you may find these six essential planning questions to be helpful. Who needs to be involved? What will they do? How much time do you have to plan? When will you debrief & reflect? 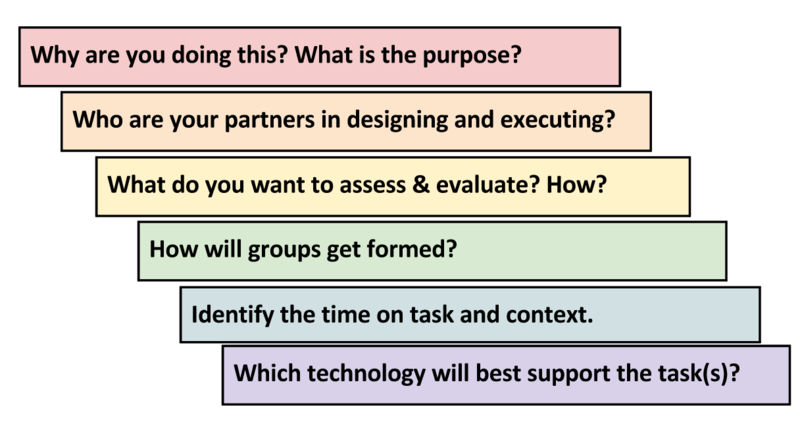 What do you want to assess and evaluate? Consider the difference(s) between assessment and evaluation. 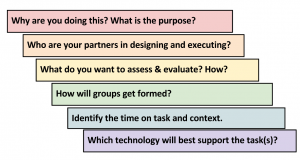 What are valid types of assessments and evaluations for your task (see question 1)? Should students be assessed as individuals or as a collective? Consider how UDL contributes to assessment tools. How will the groups get formed? How well do you know the students? What makes sense for your students? Consider how UDL can enhance the student groups. How long will this group be together? 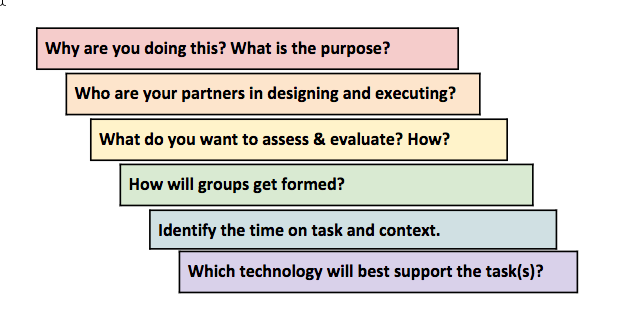 Guiding questions for convening groups based on needs. More homogeneous groups work well here. Students might not know how they can contribute. Instructors need to help students talk explicitly about the group process. Identify time on task and content. How will you facilitate the experience? Consider students’ workload and learning objectives/outcomes. Are there opportunities to scaffold the tasks? What technology (if any) should we use? What tools will help to accomplish the tasks? Add your recommendations! Canvas Groups Feature (Links to an external site. ): Gives students a space to share files & discussions. They can also submit Group Assignments when you utilize this feature. CATME Team Maker (Links to an external site. ): Sends a survey to your students and places them in teams based on the results.